and they're so inexpensive and fun to wear (sometimes). I just got their Jelly Bell Mango Pineapple Salsa and it's a hoot. They are fun: in fact, that's pretty much their main reason for existing. 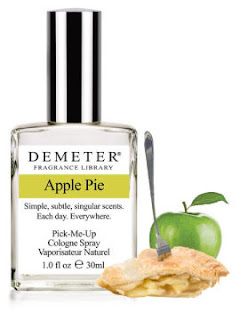 I have tons of them and I never get tired of them: a lot of the time you want the real deal, of course, a classically constructed scent, but sometimes you just want something ridiculous and fun like Bubble Gum or Fuzzy Navel or Sawdust. I do wish they still sold them at the local Sephora - I suspect I'd be all over Eggnog, Gingerale and Rain - and I'm very interested in smelling Dirt.